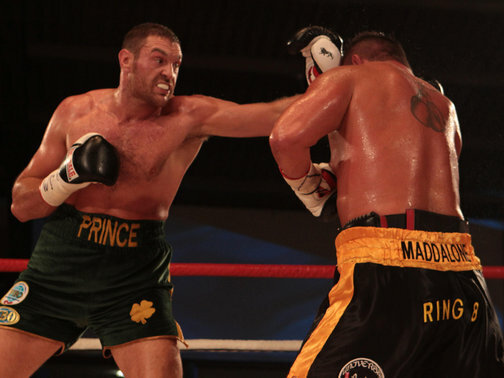 Tyson Fury will look to take a step closer to a heavyweight title shot when he faces Vinny Maddalone tonight. Fury, unbeaten in 18 pro bouts, hopes that winning the WBO Intercontinental title will lead to a future title shot against either Wladimir or Vitali Klitschko. Maddalone has won 35 of his 43 fights and has fought the likes of Holyfield, Adamek and Jean Marc Mormeck. 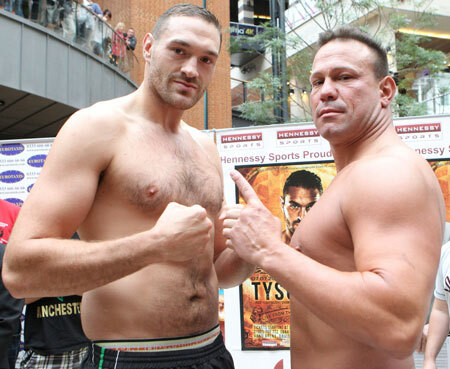 I don’t expect Maddalone to present too much of a challenge to Fury, who looks in fantastic shape. I fully expect Fury to dominate and knock Maddalone out within 7 rounds. After this fight don’t be surprised to see Fury go after WBA (Regular) Heavyweight Champ Alexander Povetkin. I think Fury would easily beat Povetkin too. But if he was to go after one of the Klitschko’s, he would be better served going after Vitali. Vitali isn’t the freshest champion now and he’s already looking towards a career in politics and Fury would be a real test for Vitali. I’m not sure he’s ready for Wlad just yet and maybe a couple of fights against the likes of Povetkin and Vitali would give him that experience. 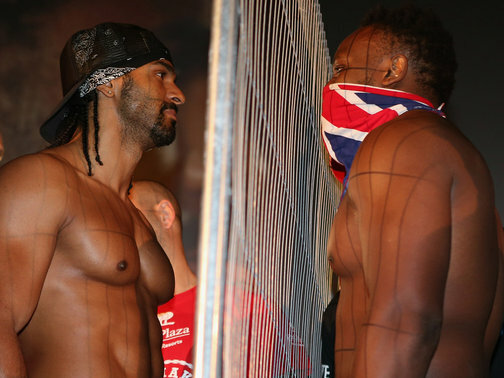 But the fight we all would love to see, would be him face off against fellow Brit David Price. It has the potential to be a really exciting domestic clash. So after Fury defeats Maddalone tonight, I hope he can set up a fight with either Price, Povetkin or Vitali. I think Wlad is just a step too far at the moment but he could be ready after a couple more fights. Fury KO inside 7 rounds. This fight shouldn’t make Fury stretch himself too much and should allow him to look good.